While design and construction professionals strive to comply with the ADA Standards, design and/or construction mistakes often result in new or altered buildings with ADA violations. 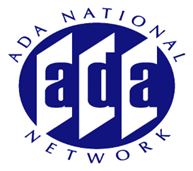 This presentation provides examples of common ADA design and construction errors made in lodging facilities including parking, exterior routes, common areas, dining areas, restrooms, guestrooms and recreation areas. These examples are based on many years of experience providing plan and construction reviews for the hospitality industry.